Many business experts have reported on and are expecting a consumer trend of reliance on small local businesses over large corporations. At the same time the number of people searching for local businesses through the web is also on the rise. Google reports the number to be over 97%. However, for many businesses it seems challenging to be in the top results for local web searches. This is where learning about Search Engine Optimization (SEO) can come in real handy. 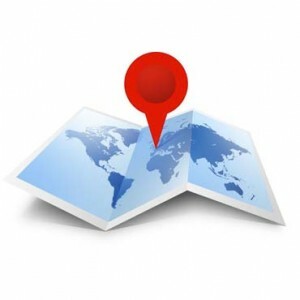 Here are several tips to improving your rankings in local business searches. 1. Add a location into your page titles. Page titles are weighed differently by search engines than regular content. When people search locally the search engine more easily recognizes your relevance to the location potential customers use as keywords for a search. By adding the city, state or even neighborhood to the page titles your website will be considered more relevant than ones without it. Many search engines have local business listings but will give a higher ranking to those that have been verified by the business owner. It’s usually a simple process to register with them, then all that’s required is to login and verify all the information is correct. Be sure to check that everything is correct and as up to date as possible, many businesses suffer because of inaccuracies or missing information. 3. Connect with other local business online. This is a great way to collaborate with others in your area and gain linkbacks. The more local businesses that link to your site the higher your relevance to local keywords will be. Building community ties can help improve results for your area as a whole, which benefits everybody. 4. Add a footer with your address to your site. Just like with page titles, a footer makes it easier for search engines to determine where you are located. Having the exact address should give you a boost because if people search by city, zipcode or even the street your site will always match because you have it all there. Ask past customers to post reviews of your business in the local listings. The more reviews you receive, whether good or bad, establish credibility online. Sending an email to thank customers for their business and a link to post a review is a great way to improve the chances of getting reviewed. In other words make it as easy as possible so people won’t have a reason not to. This is part of the system that provides the registry information for domain names. Who the domain is registered to and information including a physical address is included. There is no guarantee that this will improve your listing but some SEO experts recommend it and it doesn’t take very much to do. 7. Make your copy local. Search Engines review and weigh your relevance to searches using all the text on your site. So be sure to include location based text throughout the website copy. Include things like the area you service, community based organizations you’re associated with, and local events you’ve hosted or attended. Give us a call to get your website found online.